There are always a massive number of different microphones available on the market. But not all of them are great for recording vocals. A good vocal microphone is the most important part of the recording chain. And it’s not about how much they cost, it’s about finding the right one for you. Do your research thoroughly and make sure you pick the best microphone for recording your voice. While most manufacturers always say their product is the best. We give you an unbiased view and share some of the best models on the market in this review. 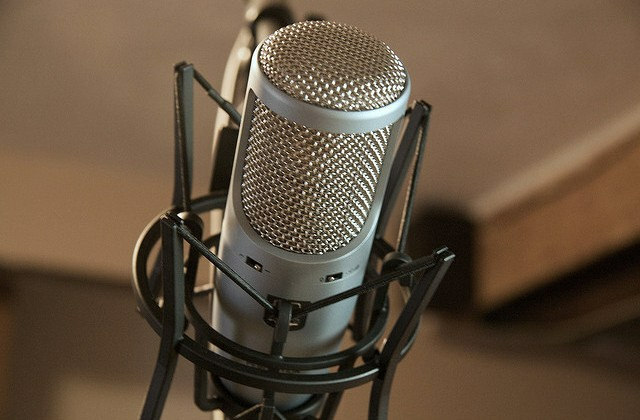 The RØDE NT1-A condenser microphone has become an industry standard. It delivers a clear yet warm sound. And has a wide dynamic range, with high SPL capability. With a low self-noise level, it’s widely recognized, as one the world’s quietest studio microphones. This makes it ideal as a vocal microphone as well as perfect for recording acoustic guitars and percussion. It comes packaged in the ‘Complete Vocal Recording Solution’ box. This includes everything you need to get a truly professional vocal recording. 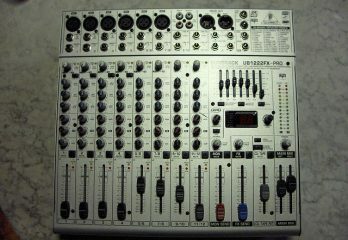 And is ideal for home studio recording. A studio grade pop shield and shock mount are also included. Along with a premium 20-feet microphone cable, a dust cover, and an instructional DVD packed with recording tips. The RØDE NT1-A is designed and manufactured in Australia and is covered by the RØDE Microphones’ industry leading 10-year warranty. The SM7B dynamic microphone has a smooth, flat, wide-range frequency response which is superb for vocals, music and speech. It is one of the go-to microphones in recording studios worldwide and has been used by numerous famous singers over the years including Anthony Kiedis and James Hetfield. It’s most famous crowning glory is the fact that it was the vocal microphone used by Michael Jackson on the biggest selling album of all time ‘Thriller’. If your voice is anything like any of these singers then it is well worth trying it out. It features excellent shielding against electromagnetic hum, which is generated by computer monitors, neon lights, and other electrical devices. Making it one of the most popular broadcast and radio station microphones. If you’re looking for an excellent quality microphone for podcasts, voice-overs etc. it’s a great choice. 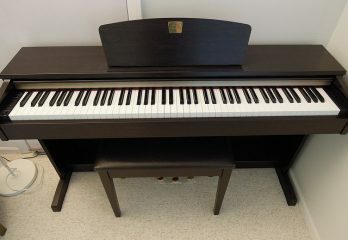 The SM7B has been updated from earlier models. Now offering an improved bracket design with greater stability. As well as its standard windscreen, it also includes an A7WS windscreen for close-talk applications. Isolation makes it great for radio and podcast use. 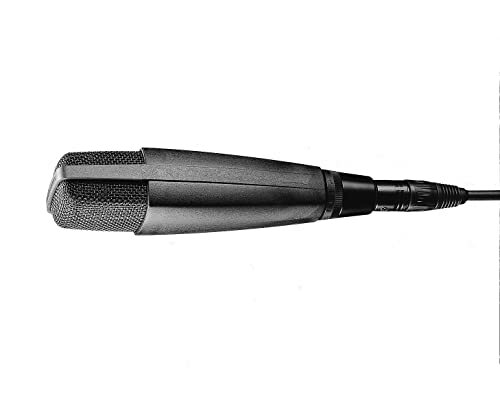 The MD 421 II is an extremely versatile, robust, cardioid microphone with a legendary status. It is easily one of the best known microphones in the world. Its excellent sound qualities enabling it to cope with diverse recording conditions and broadcasting applications. It’s a large diaphragm dynamic microphone and handles high sound pressure levels perfectly. Making it an excellent choice for recording loud sources such as guitars and drums. The MD 421’s cardioid pattern and five-position bass control make it the ideal choice for many instruments, especially Toms and guitar cabinets. It also works well on group vocals and radio broadcast announcers. But, it is also a great vocal microphone. Not on everyone’s voice, but on the right voice it can produce amazing results. Don’t dismiss it because it is the best Tom microphone in the world. Great sound as long as it matches your voice. Excellent microphone if you need one for other recording tasks such as guitars, drums, etc. as well as your voice. The mic clip is an embarrassment, one of the worst on any microphone. 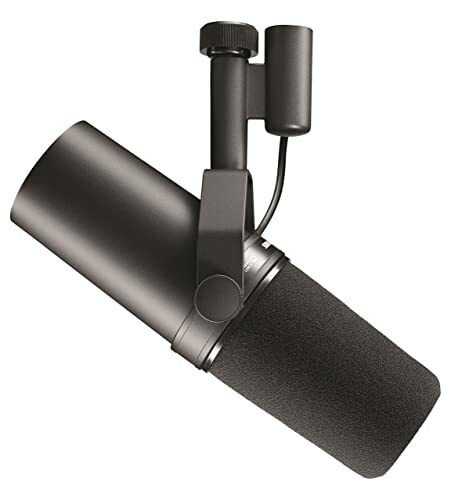 The NTK is a premium valve condenser microphone. It was designed to provide incredible detail and warmth to any source that needs recording. The Class A circuitry, along with the highly sensitive transducer includes a hand-selected twin-triode 6922 valve. When added to the other audiophile grade components, this offers an ultra-wide dynamic range, low noise, and stunning tube warmth. The NTK’s rich valve sound is ideal for any source that you would normally use a condenser on – vocals, acoustic instruments, drum overheads, guitar amps, and pianos. Useful for other instruments as well as vocals. 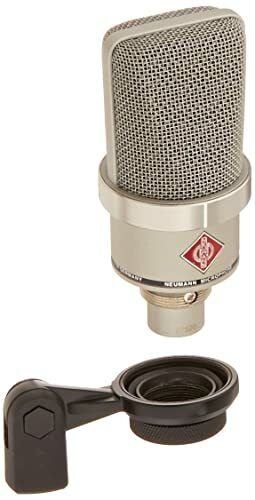 Neumann is the undisputed master of microphone technology. Their U87 microphone being used on more hit records than any other microphone in history. The U87 came after the U67 and the U47, between them the three most important microphones in history and most videos you will see of anyone recording in a studio, from the Beatles to Adele, will feature one of these three mics. The TLM 102 continues this rich tradition but also defines a new generation of Neumann studio microphone. In that, it sets a new performance standard for microphones in its price range. It’s reduced overall size contributes to an exceptionally compact appearance. While the harmonious proportions and gleaming grille ring ensure the TLM 102 attracts attention. It delivers very impressive sound – its newly developed large-diaphragm capsule has a maximum sound pressure level of 144 dB. 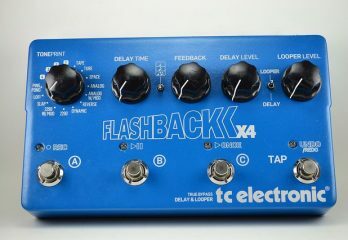 making it superb for recording percussion, drums, and guitar amps at extremely high output levels. But, where the TLM102 really shines is when recording vocals and speech. It has a slight mid EQ boost providing excellent vocal presence in an overall mix. Whilst also ensuring minimal coloration and a clearly defined, extended bass range. It features a built-in pop screen integrated into the grille which helps suppress plosives while recording vocal or speech. 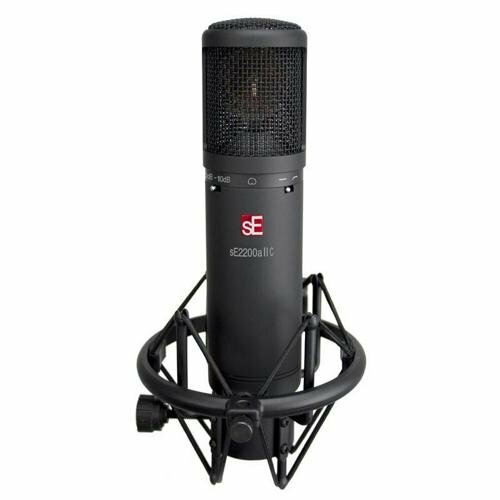 The sE Electronics sE2200a II C cardioid condenser microphone is an update of the original sE2200a. It features a smooth black rubberized finish and comes with a handy shockmount. It also has the same sonic quality and up-front sound that made the original version so popular. The sE Electronics sE2200a II C was built to cope with just about any sound you can point at it. It will easily keep up with extremely dynamic sound sources, such as vocals and brass instruments. Its highpass filter and 10dB pad are incredibly useful, allowing you to further shape its response. Whenever you need to cut out low-end rumble or lower the gain to capture a screaming amp stack, the sE2200a II C gives you the sonic flexibility you need. It is an incredibly versatile condenser microphone, and is equally at home in front of a guitar cabinet, as it is over a drum kit. It obviously doesn’t sound as good as the last few mics we’ve covered, how could it? It’s less than half the price. But, if you’re looking for your first quality condenser microphone, the sE Electronics sE2200a II C is an excellent choice. Every time you watch nearly any famous singer on stage they have a greyish microphone in their hand with a silver colored ball at the end. 99% of the time that microphone is a Shure SM58. It is the standard live vocal mic for nearly every famous singer on earth. Yes, but live and studio are not the same. I agree. But have you considered that the vocals on nearly every live album and DVD you have ever listened to were recorded with this microphone. That’s how good it is, and it’s one of the cheapest microphones in this rundown. 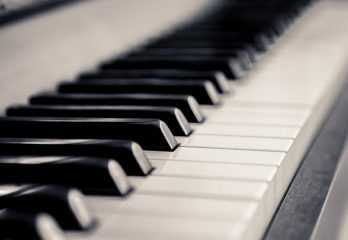 And to put some of the others to shame, It’s what Bono from U2, Chris Martin from Coldplay and a number of other amazing singers use in the studio as well. The Shure offers a carefully tailored mid frequency rise to create smooth as silk vocals that stand out in any mix. Its unmistakable sound and unsurpassed reliability making it what is widely considered, the most popular mic in the world. 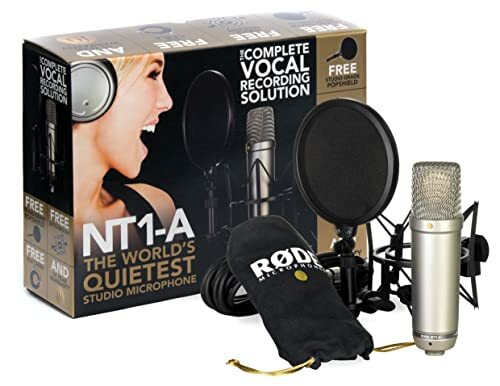 Designed for professional vocal use both live and in the recording studio. The Shure SM58 utilizes a highly effective spherical filter that minimizes wind and breath pop noise. While the cardioid pickup pattern isolates the main sound source and minimizes unwanted background noise. The Shure SM58 offers legendary sound quality, ruggedness, and reliability, at a price that is unbelievable. Austrian microphone manufacturer AKG has produced some of the greatest microphones of all time, from the vintage C2 to the modern 414. But most of them are far to expensive for inclusion here. Perception is the companies range aimed at the lower end of the recording market. 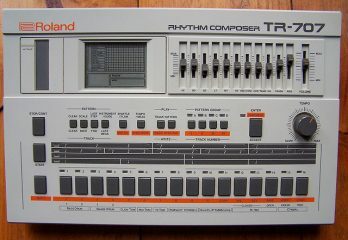 But it still has the companies heritage in terms of design, build quality and sound. The Perception 420 Studio Condenser Microphone features a dual-element design that accommodates three polar patterns – cardioid, omni, and figure-8. 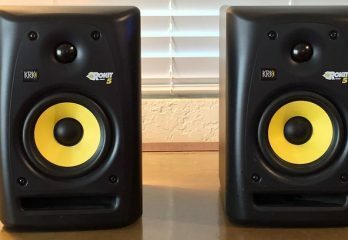 These give you far more sonic options than most of the microphones in this review which are only cardioid. That said, cardioid is by far the most popular pattern when recording vocals, so it’s not a deal breaker. The Perception 420 is supplied with a shock mount and a metal case. It is equipped with a -20dB pad and a bass cutoff filter allowing easy removal of wind noise and other unwanted low frequencies. The AKG Perception 420 Studio Condenser Microphone is an excellent condenser microphone for the low price. Sounds good, but not as good as the other condensors covered. 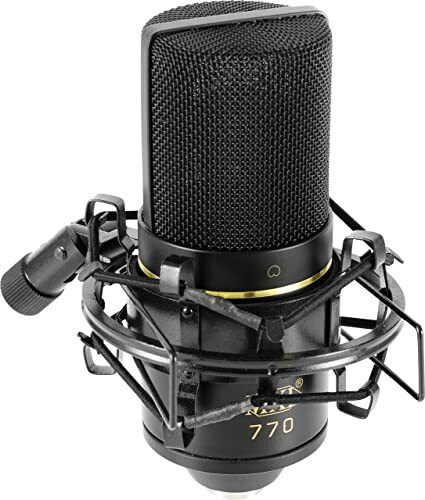 Another budget offering, but without the AKG heritage is the MXL 770 condenser microphone. Although amazingly cheap, this continues to amaze recording artists all over the world with its incredible price to performance ratio. Singers, Broadcasters and Voice Talent on a budget love the 770 for its solid bass and its upfront high-end. The MXL 770 even uses a high-quality FET preamp with balanced output to produce a wide dynamic range. And is wired with industry standard Mogami cable for exceptional sound quality. 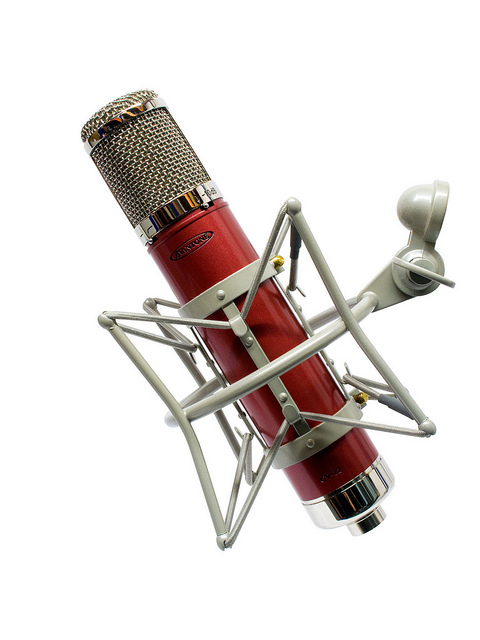 Its superb for newbie musicians who want a quality condenser mic that won’t break the bank. Impressive sound quality for the low price. The Blue Yeti USB is billed as ‘The Mic of the Internet’ because it integrates so easily with any computer. But it is good enough to record vocals on? Let’s be honest, it’s not going to compare with the more expensive microphones covered. But if your on a budget and want a no-fuss microphone the Blue Yeti could be the one for you. 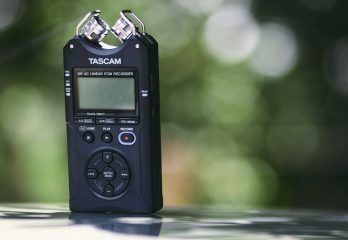 The little silver android like microphone allows you the ability to easily record quality sound quality direct to your computer. The Yeti uses Blue’s tri-capsule technology to produce pristine, studio-quality, broadcast sound. Featuring four different pattern settings, the Yeti is ideal for podcasting, voice for YouTube, game streaming on Twitch, Skype calls, recording vocals & music and much more. It’s also very easy to use, with simple controls for headphone volume, pattern selection, instant mute and microphone gain. You’ll be recording and streaming right out of the box. The Yeti doesn’t even require you to install a driver. Simply plug it into your computer’s USB port with the USB cable and you’re ready to record and stream. Excellent for podcasts and voice-over. It just doesn’t sound as good as a traditional microphone. The microphones covered in this review are either dynamic or condenser. But what’s the difference? Dynamic microphones are good at recording sounds at high levels, such as snare drums and guitar cabinets. They also offer good noise rejection. But they do not produce the most detailed audio. Condenser models pick up far more detail, producing a richer and more accurate sound overall. They do however need to be powered, so you will need an interface with phantom power, or you will not get any signal out of them. Most professional vocals are recorded with condenser microphones. But as mentioned many amazing singers such as Bono use dynamic microphones in the studio. So they certainly shouldn’t be dismissed. The microphones we have looked at today are mainly Cardioid in terms of polar pattern. This is the most useful for recording vocals because it allows the microphone to only pick up what is directly in front of it. Omni polar pattern allows the mic to pick up everything all around it which is great if you are recording a room, but not good for vocals. Figure-8 polar pattern allows the mic to pick up what is directly in front of it and what is directly behind it. Again not very good for a single vocalist. But it has been used spectacularly on numerous occasions. Especially to record a pair of backing singers. Just get them to sing together while facing each other with the mic in between them. It produces amazing results. The sound pressure level is usually abbreviated as SPL. It describes the highest input volume level the mic can handle without distorting. 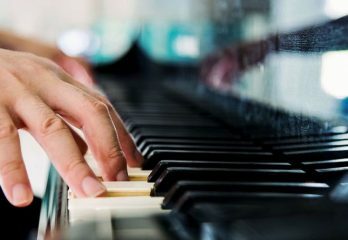 It is not relevant to vocal recording, only when recording drums, guitar cabinets etc. As mentioned, getting the right vocal microphone isn’t about the cost, it’s about getting the right microphone to match your voice. As you have read, some of the wealthiest singers in the world use very affordable microphones to record with. This obviously isn’t because they are short of money, they could afford to use any microphone on earth. They use them because that particular microphone brings out something special in their voice. I keep on coming back to it, but choosing the best vocal microphone is all about getting the one that best suits your voice. And the only way you will find that out is by trying different mics and not being afraid to try another one if the first one doesn’t give you the results you want. You can also find famous singers who have a similar voice to yours and find out what they use. You might be surprised at some of their choices. Try what they use, it might work for you, it might not, you will never know until you try. But I promise you there is a microphone out there which is perfect for you. And it’s probably one of the ones featured on this list. Try them and you will find it.